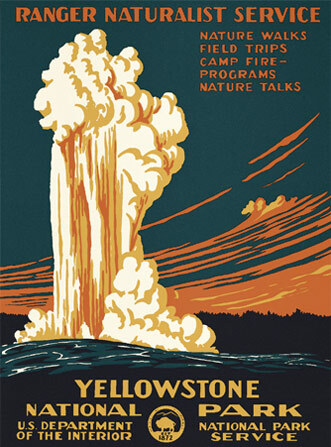 13 1/2” X 18 1/4” serigraph print--historic design & colors. 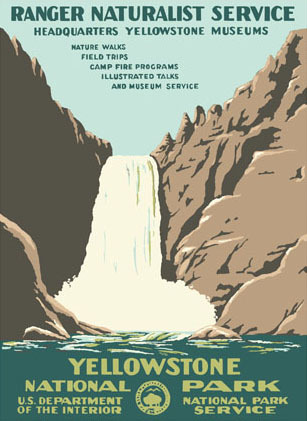 An original poster was discovered in a second hand store in 2004 (along with 8 others) and was purchased for only $70. It later sold at auction for $6000; purchased by the Library of Congress. 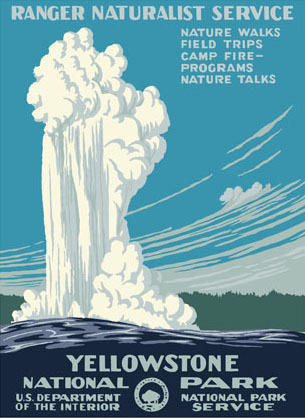 This was believed to be designed by WPA artist "Chester" Don Powell and was first published in an edition of probably 50 prints in 1938 or 39; only two survive today. Curiously, in these originals, the initials "EM" were etched into the Department of Interior seal at the bottom (we removed these in our republications) which I believe to be the person actually doing the screening. 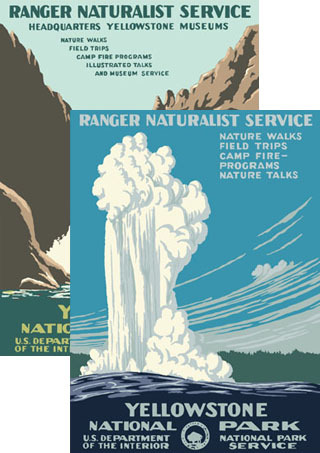 We will continue to offer both RDE and WPA colors in open editions.